TOKYO – September 27, 2018 – LINE Corporation ("LINE") has announced plans to launch five new decentralized apps ("dApps")*1 in the following service categories: prediction, Q&A, product review, food review, and location review using social media. The announcement was made during a press conference where the Company disclosed detailed specifications and technology on its LINE Token Economy concept. 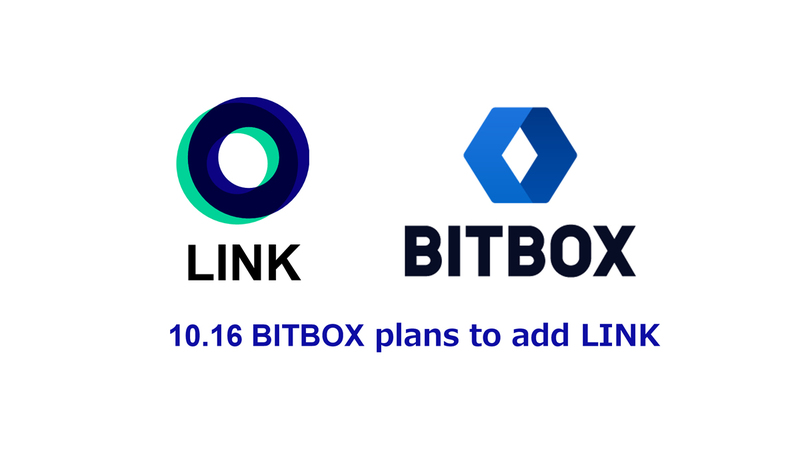 Additionally, LINE will begin offering its own digital token LINK (for markets outside Japan) from the global digital asset exchange BITBOX*2 starting October 16. *1: dApps (short for decentralized applications) are decentralized, open-source apps built with blockchain technology. *2: BITBOX is operated by LINE Corporation and LINE Tech Plus Corporation owned by LVC Corporation (a LINE group company engaged in digital token and blockchain-related business operation). 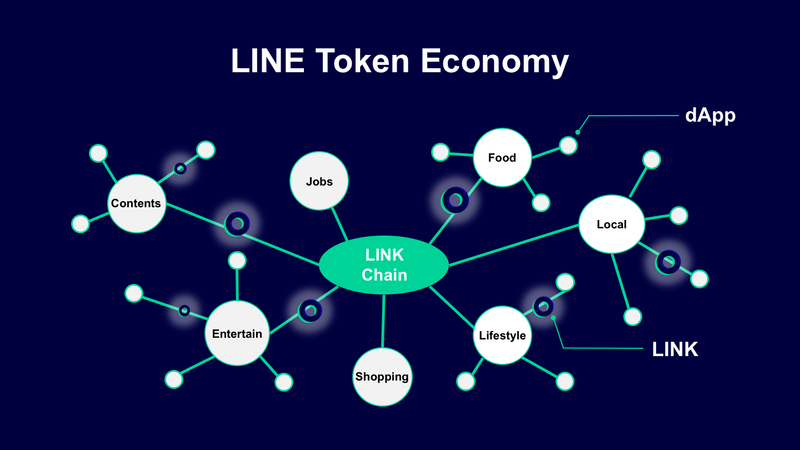 The LINE Token Economy*3 concept uses LINE's internally-developed blockchain network, LINK Chain (mainnet), to build a LINK Ecosystem that aims to flatten the relationship structure between users and service providers to promote co-creation and mutual growth. Users simply need to register and begin using any of the dApp services announced today, or existing services that will become part of the LINK ecosystem, to start earning LINE's universal coin LINK Point (for Japan) or LINK (for markets outside Japan)*4. The amount earned will depend on the type of action taken or degree of contribution made to each service. Additionally, LINE is preparing to publicly release a development kit in anticipation of third-party services to join the LINK Ecosystem starting 2019 (tentative). This kit will enable service providers to implement a token economy without having to spend a vast amount of time and money building their own blockchain network and token economy. * The following press release provides more information on the LINE Token Economy concept. *3: Token economy is a type of economy centered on unique tokens issued and circulated internally. *4: LINK Point (for Japan) and LINK (for markets outside Japan) will be issued by LINE Tech Plus Corporation. In addition to using LINK Points for other dApp services in the LINK Ecosystem, residents in Japan can exchange LINK Points with LINE Points before converting them into JPY at par to make payments at over 94 thousand locations across Japan with LINE Pay, or make purchases in various LINE services. For markets outside of Japan, LINK will be available on the global digital asset exchange BITBOX starting October 16. After this date, users can exchange and trade LINK (for markets outside Japan) earned as incentives with other cryptocurrencies on BITBOX. Since its service launch in July 2018, BITBOX continues to grow steadily as a global service generating one of the world's top ten highest total trade volumes, ranking second place at one point*5. LINK Chain, a blockchain network internally developed by LINE, is the mainnet of the LINE Token Economy. Blockchain technology is highly reliable and safe thanks to its unique mechanism that stores data in "chains," making it incorruptible and impossible to hack. Because the LINE-branded universal coin LINK Point (for Japan) and digital token LINK (for markets outside Japan) are recorded on LINK Chain, users can receive incentives proportionate to their contribution levels while transparency is ensured. LINE introduces LINK SCAN, a tool that ensures the transparency of LINE's branded coins, enables general users to see the total amount of LINK Points (in Japan) and LINK (for markets outside Japan) issued and rewarded to users as an incentive for their contributions, and more. With conventional reward point programs and other centralized services, service providers determine the reward program details as the central administrator, and the reward logic is often undisclosed to users. 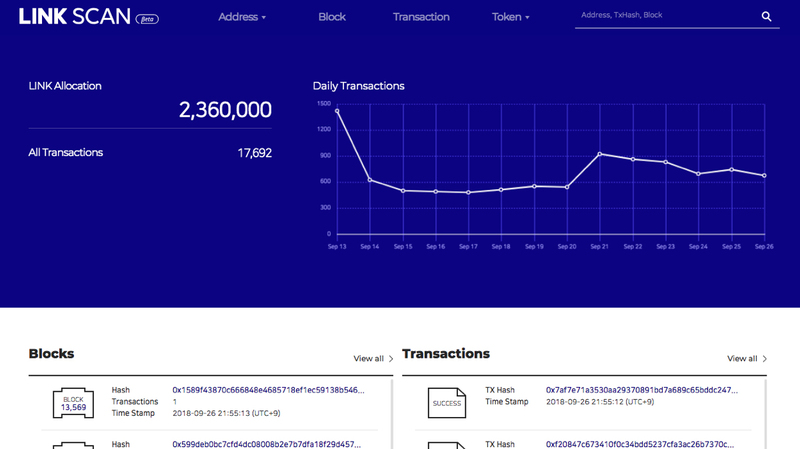 On the other hand, LINK SCAN built with LINK Chain that rapidly processes vast amounts of transactions enables users to read reviews written by peers and dApp service providers. This allows all user transactions to be verified, and ensures reliability and transparency while preventing data manipulation and other misconducts at the same time. LINE Token Economy focuses on providing users with quality dApp services, ensuring LINK Point (for Japan) and LINK (for markets outside Japan) users' satisfaction, and closing the distance between the real and encrypted world. While a wide variety of services and contents are financed through ICOs and launching in the blockchain domain, the market still lacks truly valuable services for users. The LINE Token Economy tackles this issue by aggregating only high-quality services in the LINK Ecosystem so that users have quick and easy access to the best services. LINE will also use its blockchain technology to offer convenient services to users, and build and expand a mechanism that allows users to gain value. LINE will sequentially launch dApp services (founded on the blockchain network LINK Chain (mainnet)) that can be enjoyed using LINE's universal coin LINK Point (for Japan). Blockchain technology is currently in the limelight of research and proof of concept for many companies around the world with potential to radically change the world. LINE's latest line up of dApp services is also a result of advancements in blockchain technology. While the majority of existing services have a central administrator for managing and operating the service, the system is often a black box, and services become inaccessible as soon as the operating company's application server goes down. dApp services resolve this issue by decentralizing the operation using blockchain technology so that apps are managed by the entire network instead of a single server. Furthermore, blockchain ensures an open operation, and resolves problems such as alteration and lack of transparency that current applications face, resulting in better security and transparency. Through the provision of dApp services, LINE aims to build a co-creative world in which user actions in the LINE Token Economy receive appropriate rewards, and contribute to service growth. To achieve this goal, LINE is developing dApp services in the following five categories: prediction, knowledge sharing, product review, food review, and location review. 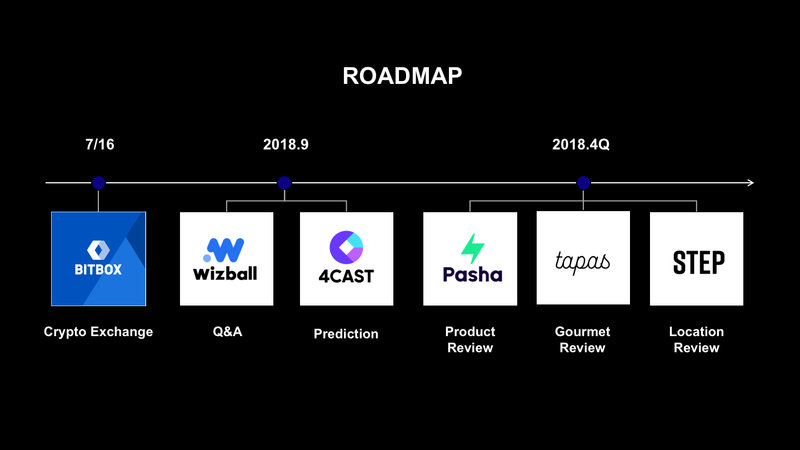 Two dApps – prediction service 4CAST and knowledge-sharing platform Wizball – were released in September ahead of the rest as beta versions, providing a first-hand experience of the LINK ecosystem to a limited number of users. Wizball is a Q&A platform for knowledge sharing. It is built with LINE's internally developed blockchain (LINK Chain), and aims to encourage users to create a better information-sharing ecosystem together by rewarding Wizball community members who help to improve the service quality and spread its value. 4CAST is a platform enabling users within communities to predict future outcomes. The prediction accuracy improves as community members make predictions based on their own knowledge and wisdom. Users whose actions contribute to an improvement in service quality are rewarded with LINK Points. Pasha enables users to write reviews and search for products using photos. Users simply take a photo of a product they are interested in to search for its details in Pasha's database sourced by users who receive an incentive for posting information, writing a review, or taking other meaningful action. TAPAS is a food review platform that provides users with information on eateries across Japan. The service ensures the reliability of reviews by requiring users to scan their receipt from an eatery before being able to rate, comment on, or write a review of the establishment. Users receive incentives for posting information, writing a review, or taking other meaningful actions. Furthermore, information such as venue details and what the reviewer ordered are automatically retrieved when reviewers scan their receipts. STEP is a social media platform for users to share their stories of recreational activities and holiday trips. Users simply add location information and tags when uploading photos of their trip to create a memoir book. Then, they can set their book status to public to receive incentives as their book’s view count increases and reviews improve.